As British American Tobacco (BAT) unveiled its plans to bring its upgraded tobacco heating product to the Korean market, along with a growing demand for similar devices in Japan and elsewhere, tobacco companies are moving beyond conventional cigarettes to innovative heat-not-burn devices. What is a heat-not-burn cigarette? Heat-not-burn (HNB) cigarettes, also known by various names such as “heated tobacco products,” “vapes,” and “e-cigarettes,” are battery-powered devices that contain an electrical heating system, aerosol nicotine in liquid form, and no tobacco. 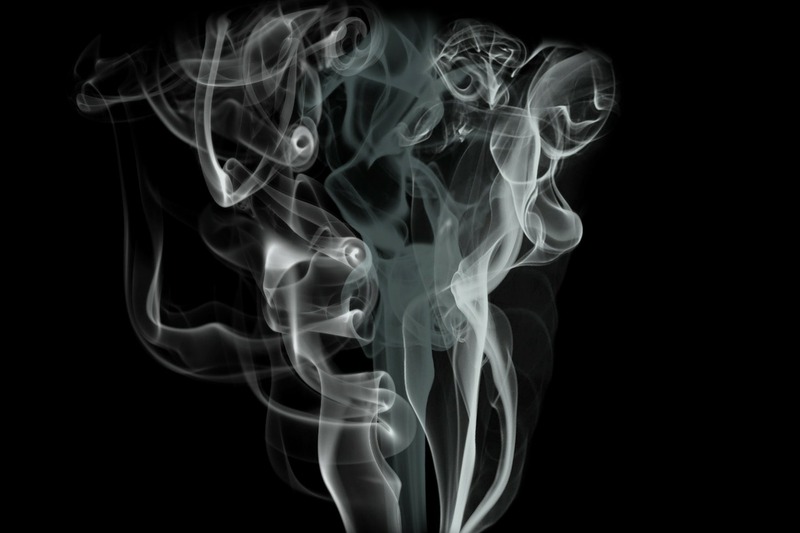 When turned on, they produce nicotine vapors by heating the aerosolized nicotine solution. In addition, they also contain non-tobacco additives that generate various flavors. HNB products do not produce smoke, and most of them require a separate power charger, enabling consumers to use them multiple times continuously — similar to any electronic device like a laptop or smartphone — once they are fully charged. How do HNB devices work? HNB devices contain nicotine-infused vapor that is produced by heating aerosolized nicotine from 200°C to 350°C. This temperature is lower than that at which tobacco is exposed in conventional cigarettes, which is 600°C. Electronic smoking device manufacturers claim these products only heat and do not burn tobacco, so they produce far lower quantities of harmful and potentially harmful constituents (HPHCs) than found in cigarette smoke, The heating system encapsulated in the device can be an external source to vaporize the nicotine. Some specially designed vapes contain a heated sealed chamber to aerosolize nicotine directly from tobacco leaves. The technology employed by smokeless cigarettes of using an external heating source is not new, and indeed, the first HNB devices were released on the market as early as 1988. However, they were not commercially profitable. In recent years, big tobacco manufacturers have reinitiated the products, claiming reduced risk benefits of these devices as compared to conventional tobacco-based products such as cigarettes, pipes, and cigars. Since 2005, Philip Morris International (PMI) has spent more than $2 billion researching HNB devices, branding its portfolio as reduced risk products (RRP). According to the company, its first RRP was launched in 2014 in Nagoya, Japan, and Milan, Italy. Branded as iQOS, by the end of 2016, this HNB device was available in over 20 countries, with expansion plans into several more until 2019, as manufacturing capacity continues to increase. PMI has projected that when 30 billion units are sold, iQOS will increase profits by $700 million. According to PMI, it had spent €500 million on iQOS in 2016 alone. The company claimed that about one million people had converted to iQOS, with 70% of the iQOS purchasers either fully or predominantly converted to the product. Realizing the market demand of RRPs, PMI has increased its investments to expand its planned annual HNB product production capacity to 50 billion units. In 2017, PMI’s competitor British American Tobacco (BAT) acquired Reynolds American Inc (RAI) for $49 billion, claiming interest in RAI’s e-cigarette brand Vuse. Imperial Tobacco launched its e-vape brand Puritane in 2014, while the company’s subsidiary Fontem Ventures purchased HNB-related patents from Dragonite International for $75 million. According to BAT, demand for its Glo heating device overtook supply in test marketing in Japan, indicating a shift in consumer interest to these new products despite a decreasing smoking population. As such, BAT unveiled its plans to develop an upgraded Glo device, called “Glo Series 2,” to Korean consumers. In December 2018, the company announced that Korea will be the first market where the Glo Series 2 will go on sale. According to the company, this device does not need an external charger, and consumers can use it up to 30 times continuously once they fully charge it. According to a Reuters-Ipsos poll, in 2015, about 10% of U.S. adults used electronic cigarettes and/or other vaporizing devices — four times the estimated number in 2013. As such, Pax Labs, a San Francisco–based vaporizer company, announced they were acquiring a $46.7 million Series C round in 2015 from a variety of sources. Indeed, the company has since rebranded as Juul and reported a record $1 billion in revenues in 2018, which prompted Altria, owned by PMI, to purchase a 35% stake in Juul for a whopping $12.8 billion. The FDA’s 2017 rule on tobacco drugs and devices permits cigarette manufacturers to apply for Modified Risk Tobacco Product (MRTP) approval with evidence that their products reduce risk of diseases, and those forwarding claims require drug or device regulation. Indeed, PMI submitted an MRTP application for its iQOS device with the FDA on December 5, 2016.According to Reuters, PMI is the first company to seek U.S. approval to market a tobacco product as being less harmful than traditional cigarettes since the new regulations were introduced. Once the MRTP is authorized by the FDA, the company will hold a significant marketing advantage over other reduced-risk tobacco products. Competing companies in the space can also request approval from the FDA for this status so long as they are able to prove their product is less harmful. PMI believes that since its products heats the tobacco instead of burning it, it will be safer for consumers. However, in January 2018, an FDA advisory panel said that PMI failed to show convincing scientific evidence that its iQOS device, which heats tobacco to a lower temperature than a lit cigarette, cuts the risk of tobacco-related harms. This decision could prevent the company from marketing iQOS as a healthier alternative to cigarettes, even if it is approved for sale in the United States. The iQOS is already available in many countries outside of the United States. The FDA has not approved any modified-risk tobacco product applications it has received. According to a report from P&S Intelligence, the global HNB market was valued at $13.8 billion in 2017 and is estimated to grow at a compound annual growth rate of 19.6% during 2018-2023. Increasing health concerns among smokers and demand for smokeless vaping and other products will be the key drivers of growth, along with consumers’ gradual shift toward tobacco alternatives. Tobacco manufacturers have already noticed these trends in the last few years and are careful in marketing their HNB brands as less- or reduced-risk products. They are particularly keen on introducing a large variety of nicotine flavors to attract such consumers. However, navigating the complex regulatory requirements of oversight agencies will be the main barrier for growth, as the reduced health risk claims of the devices have not been completely evaluated.